Stage 1 was as chaotic a stage as we are likely to see this year. With the Orica GreenEdge bus getting stuck at the finish line causing the finish to be moved to the 3km to go mark, then restored to the original finish line, combined with a huge crash that took out most of the favourites for the stage, there are a number of disgruntled and battered riders taking to the start for stage 2. Stage 2 sees the riders depart Bastia and head for Corsica’s biggest town, Ajaccio. 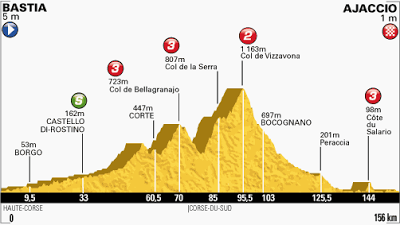 With three categorised climbs in the middle of the stage, it will be tough for the pure sprinters and those teams with sprinters more suited to this type of lumpy stage will look to set a high pace to try and drop the likes of Mark Cavendish. The final categorised climb comes just 13km from the finish, and although it is a short climb, it has an average gradient of 8.9%. Most of the sprinters should hang on, or be able to get back into the peloton after the first series of climbs, but this is where Cannondale and the likes will try to finally shed the pure sprinters. The clear favourite for this stage is Peter Sagan. It is the type of stage that he has won countless times over the past couple of years. It is a key stage for him if he wants the green jersey, particularly given Cavendish’s failure yesterday, and it would also likely put him into the yellow jersey as well. If Cannondale can drop the likes of Cavendish, it should be Sagan’s stage to lose. 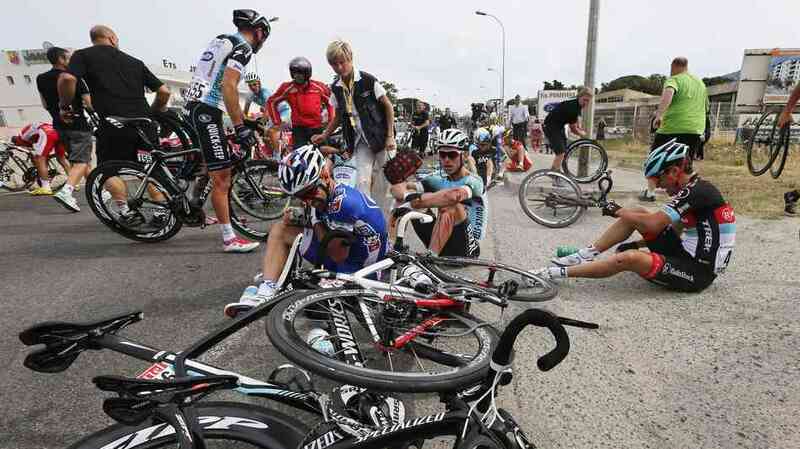 The only worry is his condition after going down hard in the big crash yesterday. Argos-Shimano enjoyed the stage win yesterday with Marcel Kittel, but they will be targeting this stage with their other sprinter, John Degenkolb. 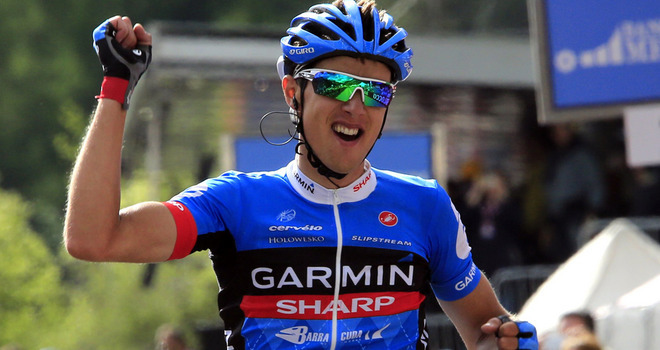 He is more than capable of making it over the climbs and he certainly has the speed to threaten Sagan. Whether he can beat him in an out-and-out sprint remains to be seen, but if his team can deliver him in the perfect position, he will be there or there abouts at the finish. However, there are a number of other sprinters that could well find themselves in the mix. The Australian, Matt Goss, will certainly make it in the final group, and he has proven in the past that he can beat the top sprinters, although not necessarily on a regular basis. However, in this stage, he will undoubtedly be a real threat. Looking at a few other names that could be contesting the group sprint, there are a few to keep an eye on. Aleksander Kristoff should be involved, having finished second in the first stage, and he has enjoyed some good results this year, while Team Sky might eye a stage win for Edvald Boasson Hagen if the opportunity presents itself. Ramunas Navardauskas enjoyed some excellent results in this type of stage in the Giro d’Italia for Garmin and could be a dark horse for this stage, although he lacks any real lead-out train. Francesco Gavazzi has been pretty consistent this season with a host of good finishes. He managed to avoid the crash yesterday, and is certainly capable of tackling the climbs today. While he is certainly not a favourite for this stage, he could well find himself close to the podium. Normally, someone like Tony Gallopin would be worth keeping an eye on, but he went down hard in the crash yesterday and is supposedly in quite a bit of pain, so instead, French hopes might be resting on the shoulders of Arthur Vichot and Samuel Dumoulin. There is also the possibility, albeit relatively remote, that OPQS can keep Mark Cavendish in the peloton for the finish. He has improved his climbing ability this season, as shown in the Milan-San Remo event, and he will be desperate to make up for the disappointment of yesterday. With so many injured doubts, it is tough to pick real value in the outright market here. We will look to back a couple of riders at larger odds, but mainly focus on some match bets.